Editor's Note: This case study was written while Dr. Gonzalo Rincon was with the University of California, Davis. 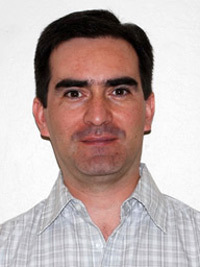 Dr. Rincon is now working as a Principal Investigator in Animal Genetics at Zoetis. Gonzalo Rincon, DVM is a Project Scientist in the Medrano Lab, part of the Department of Animal Science, at the University of California, Davis. While the lab works on several different species including canine and ovine, the main focus is bovine research. Rincon is in charge of the analysis, and his goal is to find SNP and CNV variations that affect phenotypes such as the quality of milk and beef. Through the use of tools from Golden Helix, Rincon and his colleagues have been able to publish 14 papers and obtain 2 patents, three-to-four times faster than they would have been able to. The importance of beef and dairy in the American diet cannot be understated. Beef is the third most widely consumed meat in the world and accounts for nearly one-third of the meat eaten by an average American. Dairy is similarly a food staple in the US, making up over 30% of average consumption, by pound. Given the dietary prominence of both beef and dairy, researchers in the early nineties turned to genetics to help explain trait production. Now, two decades later, scientists are closer than ever to being able to genetically identify and reproduce desirable traits. Rincon explains: "We are looking for markers that can be associated with, for example, fatty acid content in beef or oligosaccharides in milk. Both are important because they are consumed by humans." Rincon began his journey by obtaining a Doctor of Veterinary Medicine (DVM) from the University of Republic of Uruguay. Soon thereafter, he accepted an internship at UC Davis in Dr. Juan F. Medrano's lab and ended up staying as a post-doctoral researcher. He was then offered a scientist position and has been at the institution for almost 10 years. He still loves it. "Every sample is a challenge," said Rincon. "Finding answers and facing what you don't know." Most of the studies Rincon works on are from collaborators who send their bovine data to the Medrano Lab for analysis. Another lab member, Alma Islas, does the wet lab work including extracting DNA and RNA, preparation of the libraries, and sequencing. Rincon then handles the analysis. Before purchasing SNP & Variation Suite (SVS) in 2008, his lab used open-source tools and a large statistics package not suited for genetics. "Basically, we wanted to increase the number of SNPs and samples we handled and needed something robust enough to deal with that increase in an efficient way," explained Rincon. They compared several different software packages and decided on SVS. Later, they added copy number functionality to SVS as the lab's repertoire grew. With the introduction of the bos taurus genome assembly in 2009, sequencing became a major part of Rincon's work, and he recently expanded SVS to include DNA-Seq and RNA-Seq. Rincon cites two factors for why they renew SVS year after year. First is the visualization tools and how SVS allows scientists to interact with the data. Second is how fast an analysis can be conducted on a large amount of data. "Other software programs can take 3-4x the time SVS takes," Rincon states. "For us, time is really important. Our lab has a large number of projects and collaborations. We need to finish the analyses quickly and accurately, so we can spend more time making sense of the biological aspects and then move on to our next project. This is something we can do efficiently with SVS." In 2011, his laboratory was issued two patents: one on bovine livestock growth and another on fatty acid composition of bovine meat and milk.2 These patents were licensed by Igenity?a company that provides comprehensive genetic profiles of cattle to ranchers. Their genotyping services allow ranchers the ability to manage their herd and focus on traits that are important to their bottom-line. Rincon looks forward to finding more discoveries in the vital area of beef and dairy. He concludes, "Since purchasing SVS, it's the only program I use. I don't want to waste my time on anything else."